Email training@cycling.scot for free driver training. Or access one of our free open courses here. Participants will spend time in the classroom, followed by a practical cycle training session to familiarise themselves with travelling by bicycle, foot, motorcycle and scooter. By learning basic on-road cycling skills, carrying out bicycle safety checks and negotiating road junctions and traffic, fleet drivers gained a better appreciation of the safety considerations from various road users’ perspectives. 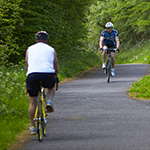 The practical element is based on Cycling Scotland’s Essential Cycling Skills programme. 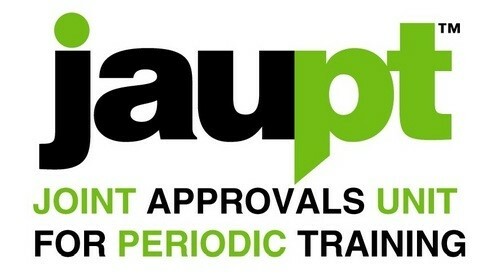 Being JAUPT-accredited, this course counts towards 7 hours of driver CPC (Certificate of professional competence). PCAT also meet FORS (Fleet Operator Recognition Scheme) Silver requirement ‘S5 Vulnerable road user training. Participants will need a valid Driving Licence and an understanding of their regular working environment. You will need clothing appropriate for the weather, and a current photographic driving licence. Bicycles will be provided. You may be inspired to complete some of our other training courses to develop your personal cycling skills or as a leader or instructor. Research reveals attitudes to cycling, with kids leading the way!